Reliongroup is currently accepting cases from plaintiffs for 3M™ Combat Earplugs Lawsuit. Manufactured by 3M™ Combat Arms™ Earplugs were meant to provide normal hearing while protecting eardrums from gunfire and explosions. Manufacturers knew about design problems as early as 2000, when the earplugs failed to pass safety tests. The dual-ended Combat Arms™ Earplugs were found to have defects that decreased their effectiveness in protecting the hearing of soldiers using the plugs. 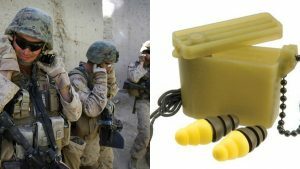 The now discontinued model of Dual-Ended Combat Arms™ earplugs was a standard issued equipment for soldiers deployed to Afghanistan and Iraq between 2003 and 2015. Within 12 years, millions of dollars’ worth of Combat Arms™ earplugs were distributed to thousands of U.S. troops by the U.S. Defense Logistics Agency had distributed – who did not know about their defects – putting these men and women at risk for permanent hearing loss or impairment. Getting compensated for heraing loss caused by defective earplugs is one call away – call the Relion Group right now and an attorney will let you know if you have a case. We will work to get you your settlement and will not charge any fee until you get paid. Many have already received hundreds of thousands of dollars.